Sticking to its promise to release one major version update every 6 months, WordPress 3.5 is finally released after weeks of testing. 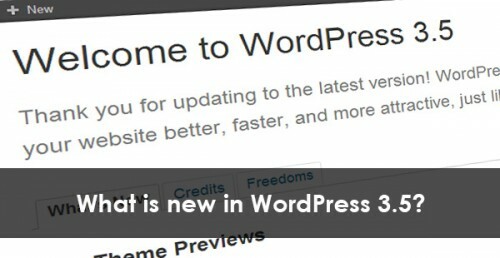 In this article, we’ll discuss what’s new in WordPress 3.5 and how is it going to affect our current blogs. 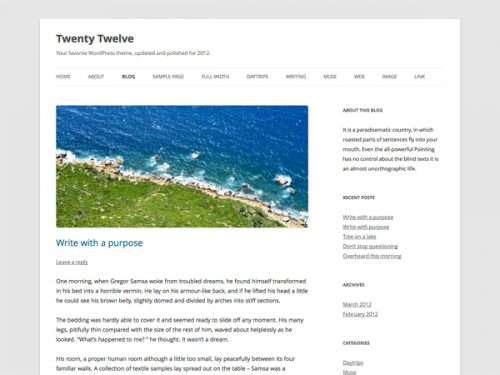 A new default Twenty Twelve theme : With this theme, WordPress has introduced new level of features and flexible customizations that endow bloggers more control over their self-hosted wordpress blogs. One of the striking change/addition is widgetized home page template. Another useful design change is support for mobile responsive layout so that the blog could optimize its layout automatically based on the screen resolution of devices on which it is viewed. Several new post formats are also introduced, like, standard, aside, image, link, quote, status (for sharing status updates). Moreover, Right to Left language support is also added. 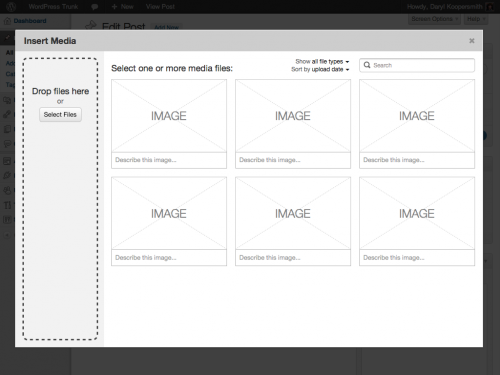 A complete new media uploader is live on WordPress 3.5. Now, we can edit any images from the media library in a full post-edit like interface. Also added is the attachment page content box which allows you to add more content relevant to the image, like when was the photo taken, its location, photographer name, description, etc, to make the attachment page more meaningful and relevant to your readers. Full Post-type UI for attachment page. More websites are now supported via WordPress oEmbeds functionality. Now you can post the link of the page where the media is located in the post body and the media will be automatically embedded in the post content. This functionality is supported for SoundCloud, Slideshare, Instagram, YouTube, Vimeo, Flickr, Twitter, etc. Link Manager for new WordPress 3.5 installs will be disabled by default. For WordPress 3.5 upgrades on exisiting installations, the Link Manager will remain in place. Post-Edit/Add page is upgraded with more easy controls. TinyMCEditor is also improved with HTML 5 tags buttons. Remote publishing via XML-RPC protocol will be enabled by default. Plugin Favorites to keep track of your favorite plugins so that you could easily install all your favorite plugins on each WordPress install from there, without having to search for the each of the plugins individually on every new WordPress installs. Several other new features are implemented while some of the old, unused, unnecessary options are removed. UTF-8 Encoding is the default on new WP installation, new welcome screen. If you’re eager to try out what’s new in WordPress 3.5, want to upgrade your existing self-hosted wp blog to WordPress 3.5, or download Twenty Twelve theme, then upgrade your blog from admin dashboard. No doubt, this is worthy upgrade. I’m excited, are you?